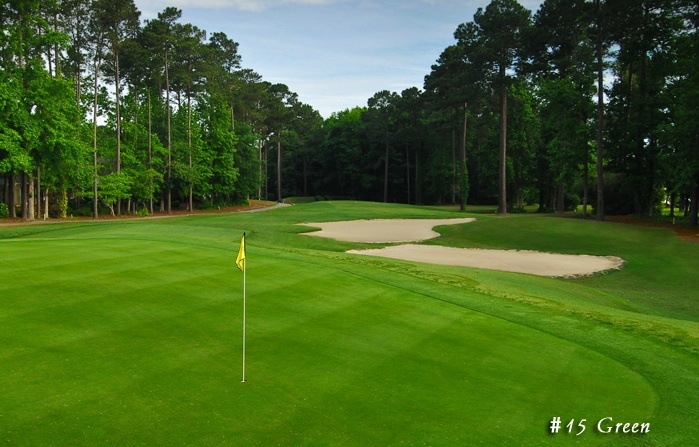 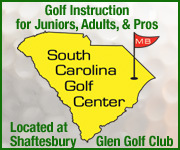 River Hills Golf & Country Club is located in the historic seaside village of Little River, South Carolina, near North Myrtle Beach. 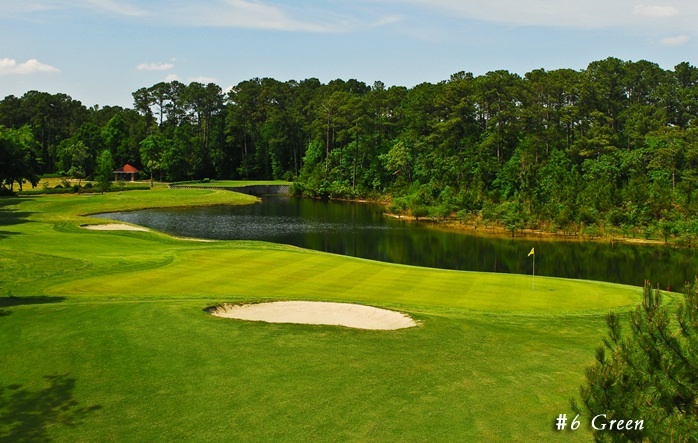 It offers a magnificent 18-hole course designed by Tom Jackson, with fairways that meander through a picturesque, heavily wooded rolling terrain. The rolling hills, unusual for a coastal course, are this layout’s signature. 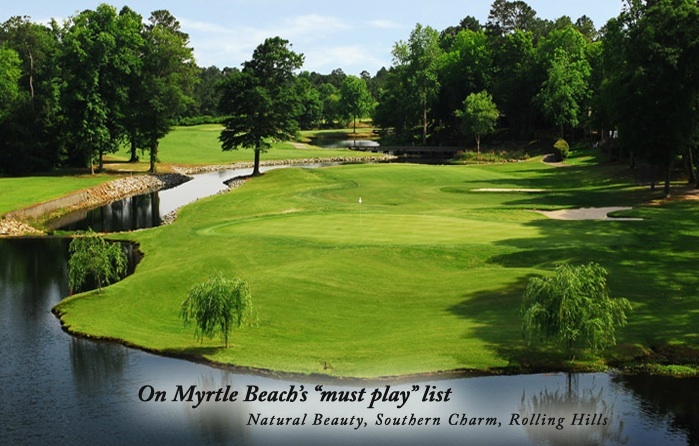 From the day it opened, this challenging design, with frequent 40-foot elevation changes and non-parallel fairways, has been greeted with acclaim. 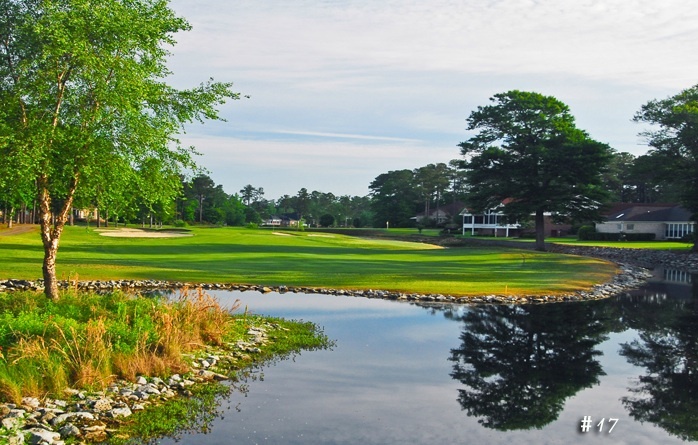 River Hills has been named to Golfweek’s Top 50 in the Southeast list, and the recent renovation has helped make River Hills a favorite choice for Grand Strand golfers. 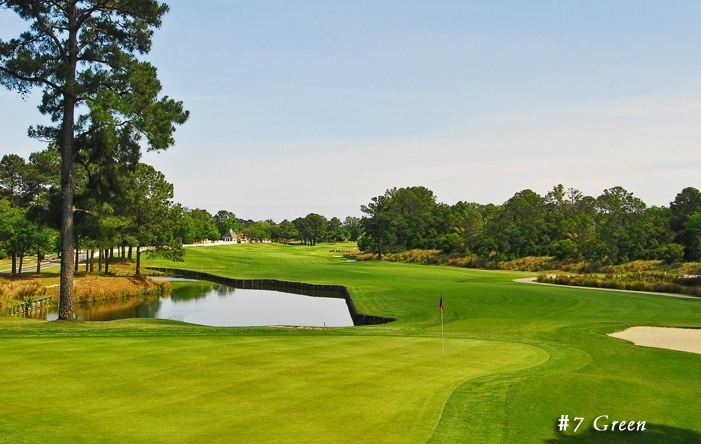 The immaculately manicured greens provide optimum playing conditions throughout the year and the course provides four sets of tees, so golfers of all skill levels can enjoy an unforgettable playing experience. 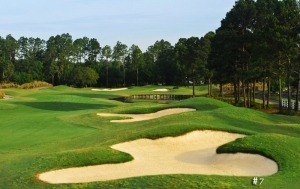 At the clubhouse, gracious Southern hospitality abounds, with a full-service golf shop, grill and bar where the friendly, courteous staff prides itself on a tradition of quality customer service. 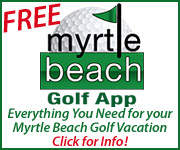 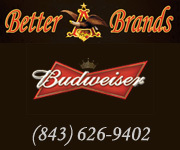 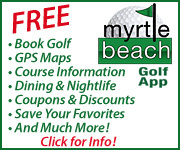 Book golf club tee times or golf packages for the North Myrtle Beach golf course River Hills with On the Green Magazine.